The halfway mark of my AmeriCorps service! The last 5 months have been filled with endless opportunities to grow professionally and personally. We are given the freedom to use our creativity and the responsibility to develop programs. Our site staff and supervisors encourage us to become involved in programs and lead projects that really interest us, and enough direction to not feel lost or unable to know where to start. As an AmeriCorps, I’ve been able to learn and be a part of the behind-the-scenes at this organization including managing volunteers, programs, and the logistics. It was a really busy past three months, and there are several events during the second quarter of my service I would like to share. I began the second quarter by I travelling to the Seattle VA and helping with holiday distribution, passing out holiday gifts and stockings filled with goodies to 129 veterans. I also explained parts of our resiliency programs during a partner presentation with the Exceptional Family Member Program at Naval Air Station Whidbey Island. This presentation gives an overview of our resiliency program, including a few activities with an attending facilitator, so the coordinators on base are knowledgeable about our services, so we can plan to provide resiliency workshops to servicemembers and their families who may need them. 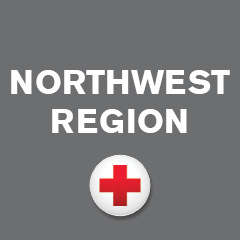 This quarter, I ran logistics for a resiliency workshop we hosted at JBLM for Red Cross volunteers; several being veterans, military spouses, or active duty. The workshop was “Using Mind-Body Skills” which hopes to improve emotional intelligence and provide strategies to build resiliency. I also attended another Hero’s Café event in Snohomish County that provides food and services for veterans. There, I spoke to the 100+ veterans to hopefully encourage more veterans to become involved with volunteering. The mayor of Lynwood also attended to spread awareness about employment after military service. We are encouraged to challenge ourselves and develop skills I know will be useful for the rest of my career. I’ve been able to spread awareness to veterans and military members about the services the Red Cross provides to them. This has been a wonderful and educational experience so far, and I’m looking forward to the second half!